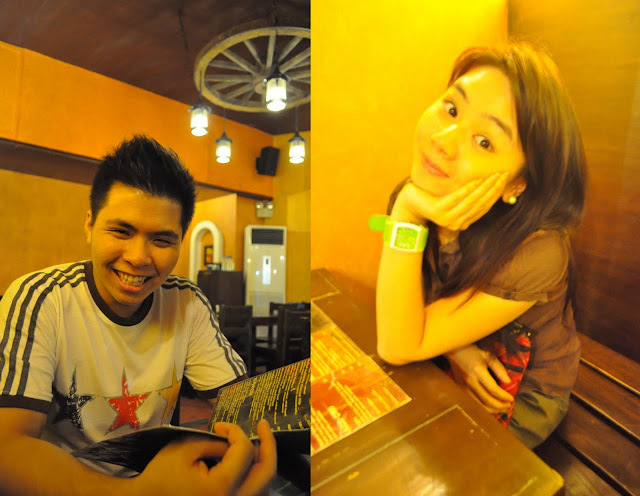 We decided to visit Jalapeño one last time before the year 2011 ends. Just located along the Food Street in Ortigas Home Depot, it has been a favorite hangout place of some Mexican food lovers in the area. Upon entering, a distinct smell of Mexican cuisine welcome us. We were guided to the second floor where some Mexican pictures are framed on the wall and a map of Mexico could also be found. A casual Mexican pub was characterized by the use of wooden chairs, brown and yellow hues, and the dimmed lights effect. Browsing through the menu, they have a variety of Mexican food choices like nachos, quesadillas, burritos and enchiladas. We ordered for a glass of their Herbed Lemonade (P65) to refresh ourselves and as recommended by the server. Then we got an order of their Baked Jalapeno Cheese Dip (P190) served with a plateful of nacho chips. Then I ordered for their Grilled Chicken Tacos (P180) which came in 2 pieces. Soft tacos were used with sour cream and Mexican salsa on the side. The tacos had grilled chicken pieces, salsa, lettuce and cheese inside it. I love that it was served in soft tacos making it easier for me to enjoy them without the messy part. The burrito was big and chunky. I got myself a bite and surprisingly it was good. I was never a fan of burritos but this one was great! The steak was tender and flavorful too. No doubt D enjoyed it very much. Just a couple of minutes and the burrito was gone. Since we still wanted to try something new, we also ordered for a bowl of their Mexican Bean Soup (P90). D did not like this one very much and I only liked the soup and cheese. There was a generous amount of beans, tomatoes and bell peppers which we were not able to finish. Oh well, at least we were able to try it out. Very delectable pictures. I'm curious now how those Mexican foods taste. I will definitely visit this place when I get to Manila next year. From the name, it already reeks of spiciness...love it! The food looks very tempting. 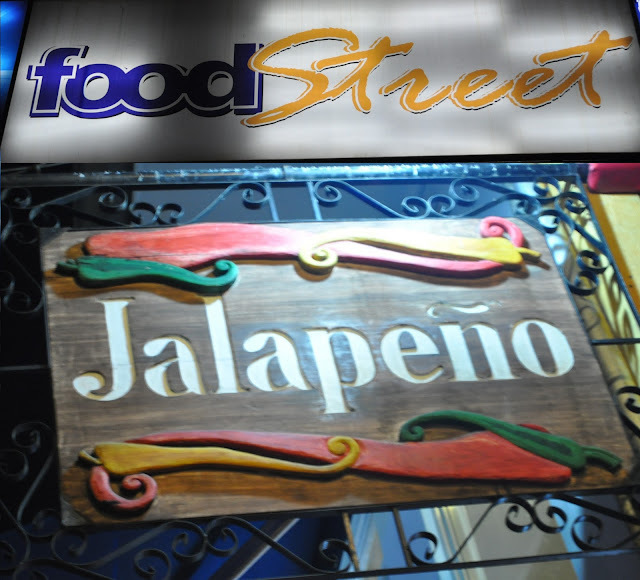 may Jalapeño din sa cubao. kng kilala ko ang owner nito, malamang bigtime na xa. visiting with a smile. love your blog skin! i'm salivating right now...i love mexican food pa naman...btw Berylle, I would like to invite you to my give-away featuring stuffs from coastal scents, urban decay, soap & glory and h&m. here's the link just in case you're interested to join: http://kayelangit-luistro.blogspot.com/2011/12/join-timeless-confection-blog-give-away.html. thank you so much! have a great day! Go try! daming makakainan tlga..but mostly mga bars haha! love spices! I should have to try this.. delectable Mexican foodies. You got me craving for Mexican food so early in the morning! The Pepper Steak Burrito looks really good. Thanks for the tip, will try this soon! i hope they didn't serve you the burned cheese dip. thumbs down for the service.